They look like the work of a twisted science artist. Some maniac who spent hours dreaming up nightmare shapes made of ice. But no, these monstrous and lovely ice sculptures were formed by natural processes. Here are some of the most other-worldly ice formations on Earth. 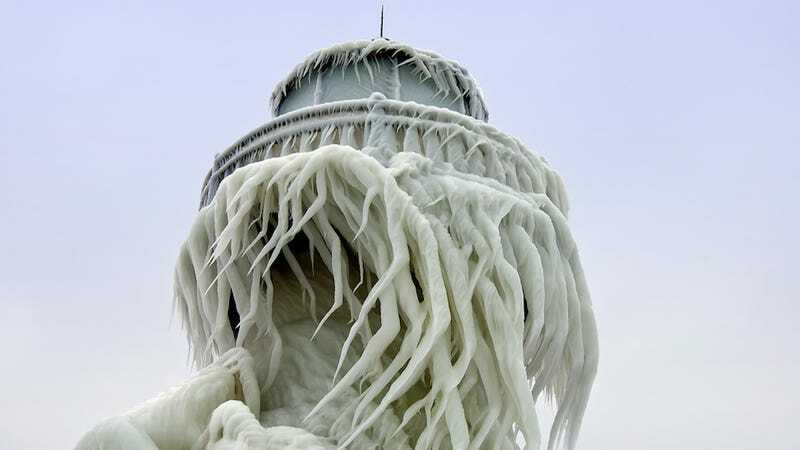 Top image: the 35-foot tall St. Joseph lighthouse near Lake Michigan, photo by Tom Gill, via Amusing Planet.